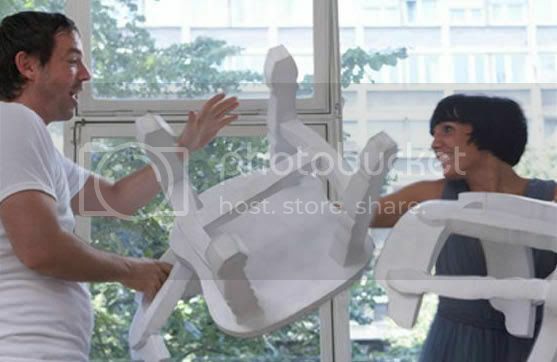 ''Hit it" is a series of furniture, consisting of a table and chairs. They resemble Saloon furniture from western movies, but the difference lies in the material. Hit It allows everyone to feel like a strong cowboy. Saloon fighting will now not only be fun, but safe. where can i buy one of these?!!! !